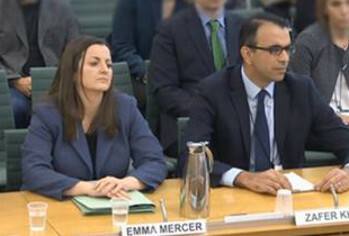 Ahead of Wednesday’s launch of the final report of their inquiry into the collapse of the infrastructure giant, two parliamentary committees have published evidence from Santander, the bank that operated Carillion’s Early Payment Facility (EPF). They said that despite being signatories of the Prompt Payment Code, Carillion was a notorious late payer, which forced standard payment terms of 120 days on suppliers. Suppliers could get paid earlier if they took a discounted payment. The committees pointed out that two major credit ratings agencies have claimed that Carillion's accounting for their EPF concealed its true level of borrowing from financial creditors. One has claimed that as much as £498m was misclassified as a result. Frank Field MP, chair of the Work and Pensions Committee, said: ‘Carillion displayed utter contempt for its suppliers, many of them the small businesses that are the lifeblood of the UK’s economy.